These fabulous little pouches were uniquely and exclusively designed for “In A Pikle.” One set of 4 double sided clear interior bags fits any of our “In A Pikle” covers. These pouches fold in half to create eight pockets measuring 3 x 6 each. These little bags are strong but flexible. They have a slide top at each end for quick access and repeated use. They stay crystal clear so you can see all those little things easily and retrieve them quickly. 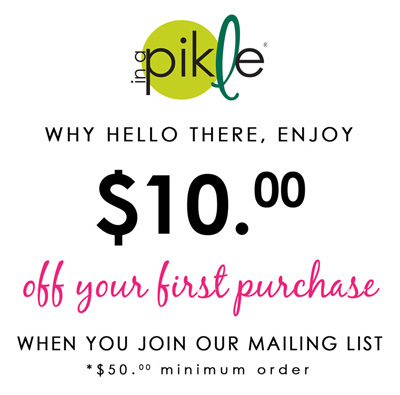 Snap them in and out of the “In A Pikle” covers to change your look!